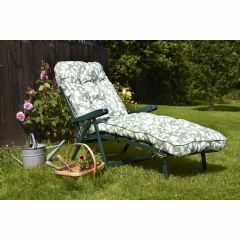 This reclining Tuscany Sun Lounger by Greenfingers is perfect for long, hot summer days! 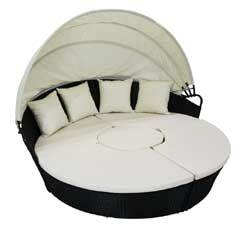 Just lay your head back on the pillow and relax in comfort on this Italian style lounger. Manufactured from steel tube framing with poly-textile fabric making it attractive, practical and durable. poly-textile is also a great material for the British climate, as should any summer showers strike, it is very quick drying. 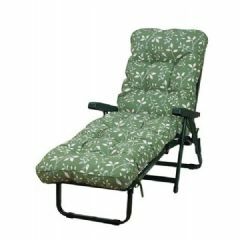 The pillow has a Velcro fastening making it easily removable and the lounger folds flat for easy storage. Comfortable and sturdy, excellent value for money. It takes a little while to get used to tipping back and forwards but once you're used to it it's great. Chairs are really good quality and great value only down side was that the express delivery service that i paid for was a joke ordered on wednesday picked up on Thursday and not delivered until the next tuesday express you are having a laugh. 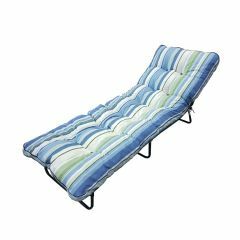 I bought two of these Sun Loungers. They arrived quickly,great quality. When they arrived the headrests were missing, I did a live chat with customer service who apologised and said that they would be sent out a.s.a.p. Sure enough they arrived 48 hours later. Superb customer service also.So much so that whenever I need anything which is sold by Greenfingers I will buy from them as they,in my opinion,cannot be beaten!  The lounger is very good value and quality for the money. I find it comfortable and easy to use. A choice of colours would be nice but the coffee available is ok. I paid for express delivery which did not happen (this may have been the fault of the courier) I informed Greenfingers and they reimbursed me and offered a money off voucher with no problem. Thank you for good customer service. The sun lounger looks classy and more expensive than the price tag. 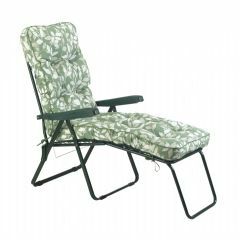 The lounger tilts back from the seating position to a really comfortable, supported lying position. You're not totally flat, I have lower back problems and this lounger supports me beautifully. Highly recommend. A lightweight, relaxing chair to swing back in on a sunny day. Excellent value for money. A good quality chair.